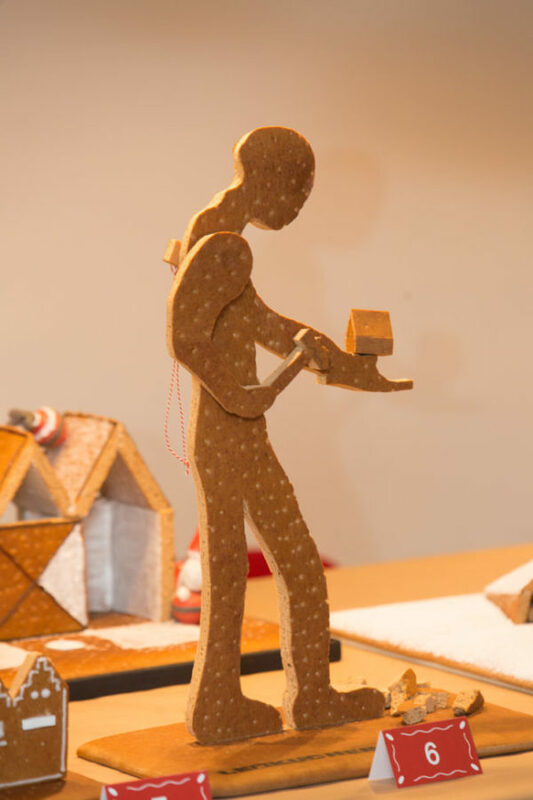 The gingerbread house competition, organised this year by Wilkhahn, the Swiss textiles specialist Création Baumann, the bathroom fittings manufacturer Vola and furniture company Bender, has almost become something of a tradition. 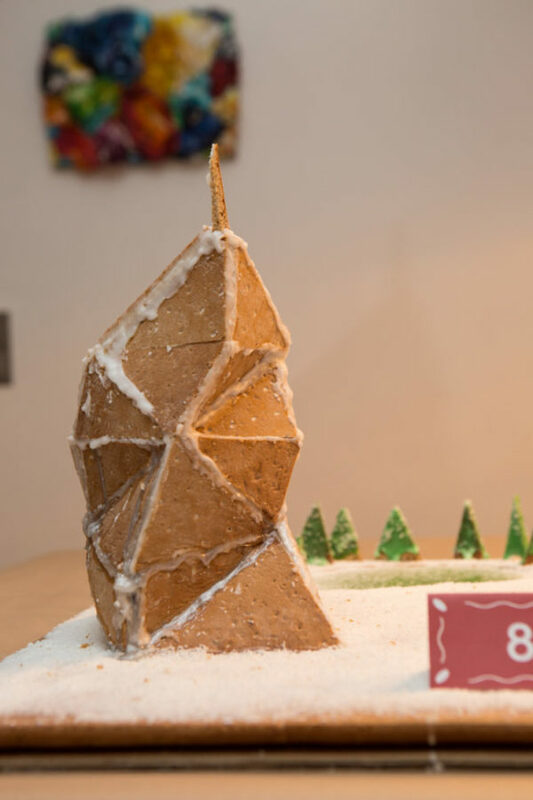 For the third time now, architecture firms were invited to submit their tasty designs. It wasn’t just planning, but above all building expertise that was sought. The slabs of gingerbread were provided to put all those taking part on an equal footing. Otherwise, entrants were allowed to give their imagination free rein. And in contrast to the real world of construction, it was all about the transitory nature of the object. Ultimately, any construction blunders in this competition could quite literally be consumed. 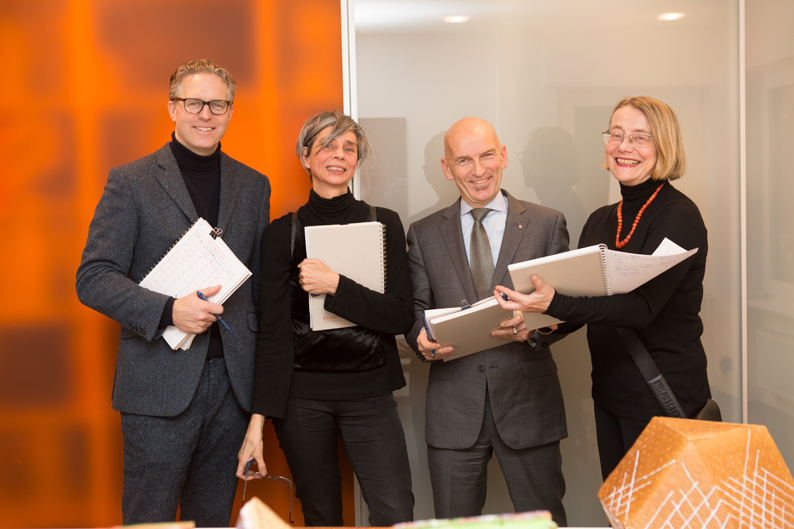 It was a fun idea, but the prestigious panel of judges took their job seriously and tested the true qualities of the approximately 30 submissions. 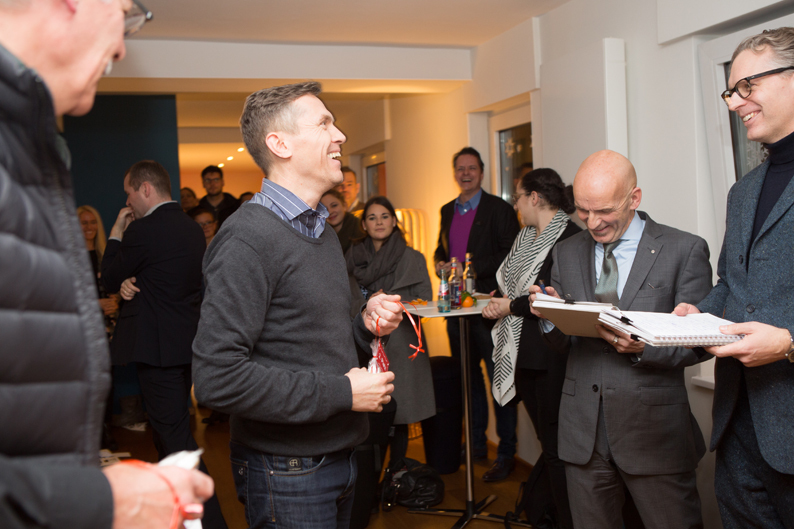 And afterwards the winners received culinary prizes and Wilkhahn’s marvel-in-motion Stand-up stool. It isn’t known whether the ulterior motive was perhaps to get rid of any excess pounds gained. Jo. Franzke Generalplaner’s team from Frankfurt am Main won first prize with their House of Cultures. The idea was based on colleagues from 22 different nations working on the house. This was the sort of diversity that the competition wanted submissions to reflect. 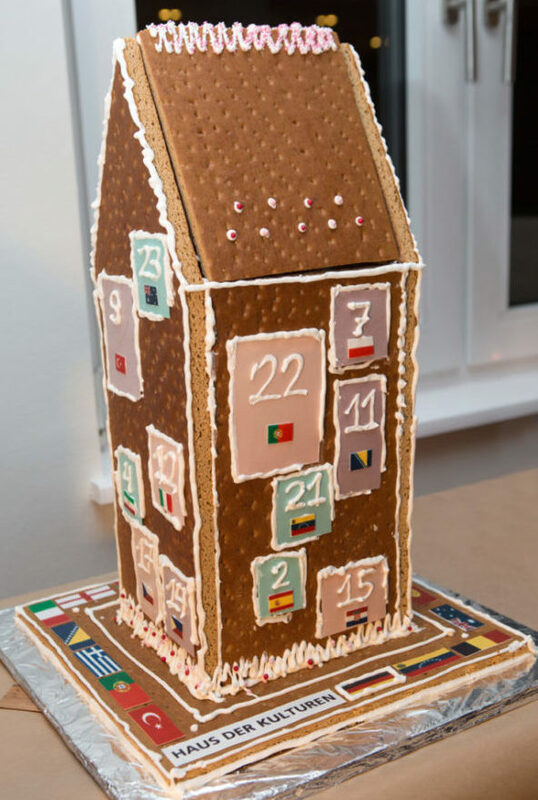 Photos of the staff and little notes stating how Christmas is celebrated in each country are to be found behind the windows in the gingerbread house. And on this note the Wilkhahn blog’s editorial team would like to wish you a lovely Yuletide break wherever you are and however you spend it.